To give your gsmoothie some extra detox lift you can use tea infusions in yr green smoothie instead of water- don’t you love that word- infusion… So thinking about the liver and kidneys I made a cup of roasted ground dandelion (using the teabag) in a plunger and kept it in the fridge overnight. I love roasted ground dandelion with honey or agave nectar- the roots contain inulin, which nourishes beneficial gut bacteria and stimulates liver function. I blended the tea infusion with an orange and ginger/lemon/lime for the green smoothie base for the greens and fruit. Cranberry juice is good too and all citrus esp lemons and limes- vitamin C is a great detoxer- that’s why it is really good to have lemon juice in warm water first thing every morning. Magnesium is an essential ingredient for detoxing and one of the best places to find this is-yes-dark leafy greens. It’s one of the key nutrients that your liver needs to manufacture enzymes for toxin breakdown. Greens like watercress, rocket, chard, kale, spinach and dandelion greens all provide chlorophyll -all naturally detoxing with a flood of oxygen to your blood. Hi that’s great! Amazing isn’t it how your skin looks better. Everytime I see those Proactive ads I think spend your money on a blender instead! 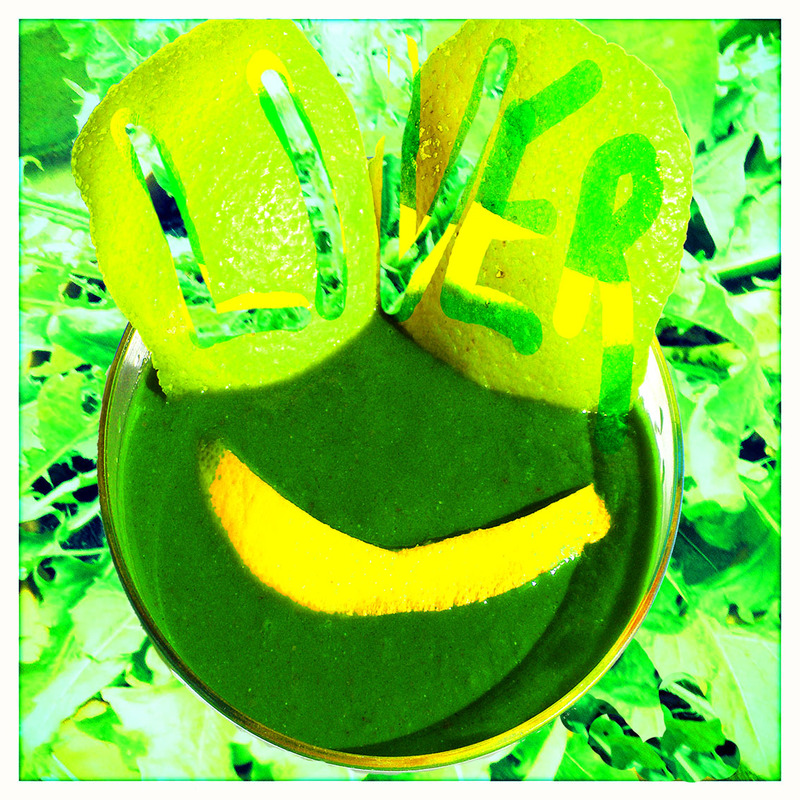 Hi – I am just starting out exploring the green smoothies hoping it will give me energy and feel healthy again. How much of the ingredients above do I add to make the smoothie? There is also a recipe section in my book Dailygreenbar Guide To Green Smoothies. You can add any other ingredients to them and add more water. I usually use a handful of goji berries, 2 tablespoons of chia seeds and coconut oil and when I add chlorella, spirulina, Maca or acai 2 tablespoons of these as well. Too much chia can thicken it like a pudding and too much maca can be a bit much as well. Experiment to see how much tastes right to you!